I'm not too sure how to describe the effect that I'm going for or what it is even called. Thus, I'm having some trouble finding any help through Google. 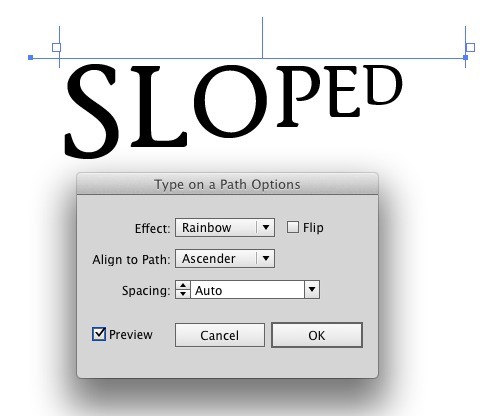 I want to accomplish something like this "SLOPED" text below, but have the bottoms of the letters follow the slope as well instead of being horizontal. I have tried using the free transform tool, skewing, and using perspective, but I don't like the effect they are resulting in. All of the tools that I just mentioned result in the appearance of the word being angled away from the viewer (perspective). I want more of this style effect, whereas the letters are not skewed horizontally, but scaled evenly along a path that I lay out. What is the name of this text effect? Can anyone point me in the right direction to a tutorial or know how to accomplish this themselves? I know that I could go through and do this letter by letter, but I was really hoping to find an easier method. EDIT I have removed many elements of my design and quickly threw some sample text in it, but this should give you an idea of what I am trying to accomplish. I want a mixture of the above and below effects. I'm unaware of an automated way to keep the type perpendicular to the page and have it slope the way you are depicting. It must be done manually. @Ilan has laid out the primary automated options there are. There is one more option though, Type on a path with the varied type sizes. I simply set the type on a straight horizontal path and used Type > Type on a Path > Type on a Path Options to align to Ascender. Then adjusted the point size of the characters. Note I also added a bit of baseline shift to the characters so they remained aligned at the top. This keeps the type live so it can be edited, but you still need to adjust each character as necessary. Easiest way to do this is to use the type on a path tool. Make the type path at the angle you want the text to rise. 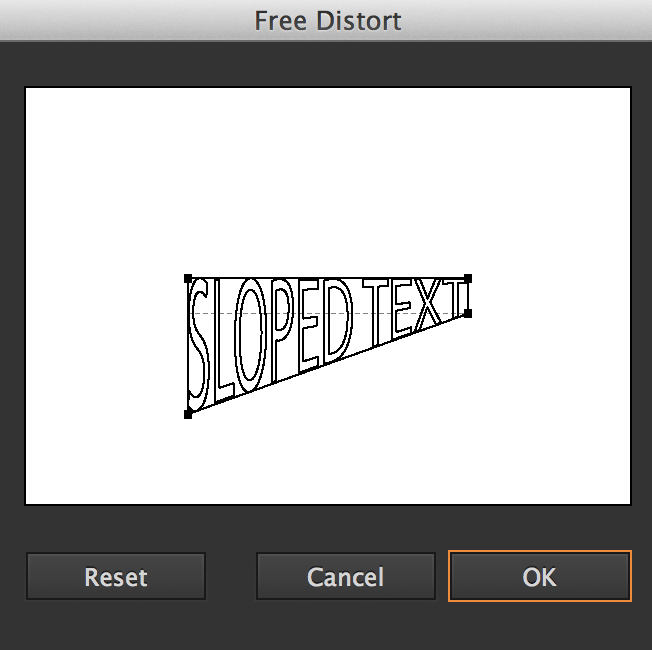 Once you have your text laid out, right click and use the shear tool to get the text back up straight again. You'll have to just trial/error to get the right degree for the text to appear straight, but in the end, you'll have text that is upright, while going up/down at an angle. Not the answer you're looking for? 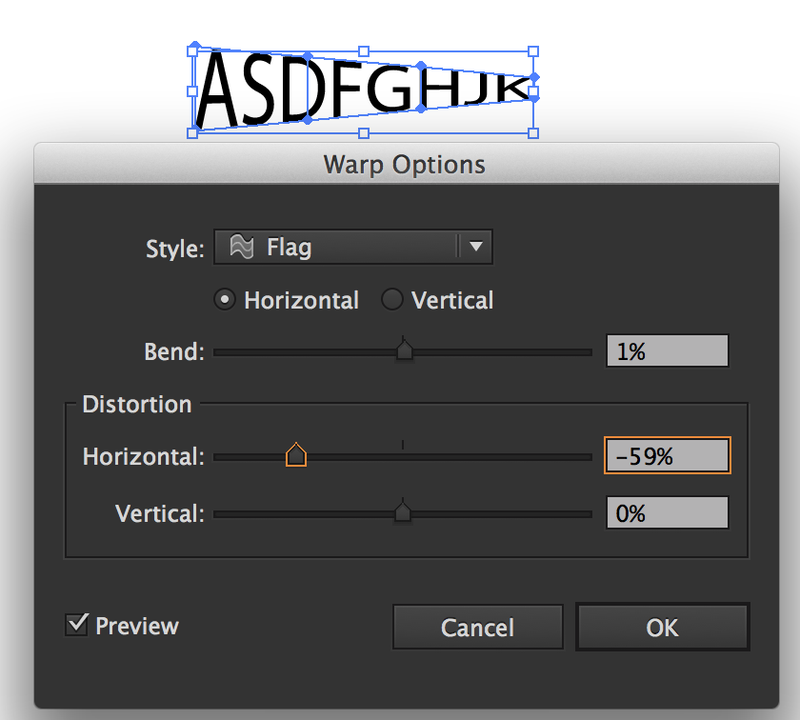 Browse other questions tagged adobe-illustrator text path transform or ask your own question. How to skew / shear text in Illustrator? 3D or image pass through text effect…? How would I create this extrusion in Illustrator? 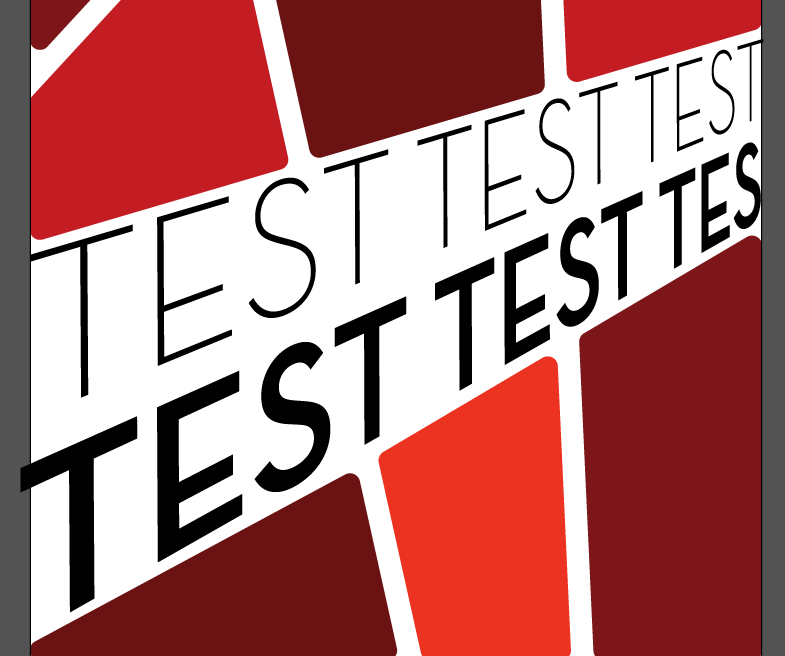 How to make arc text effect in Illustrator?